This proposed budget was voted down by the public on June 13, 2017. An updated proposal is in development within the town (Board of Education, Town Manager, and the Town Council). Once it is finalized and approved by the Town Council our numbers and voting calendar will be updated. Thanks. The ballot for the school budget referendum will read as below. The town is not required to provide side by side numbers for FY2017 and FY2018. We have provided that below the 'sample ballot' as we believe that is important. To help you understand "the Scarborough School budget for the upcoming school year," here is the School Department's summary of that budget - with our explanatory notations indicated in red. You will note that the 3.49% overall tax rate increase to which town and school officials frequently refer is nowhere to be found in this budget. 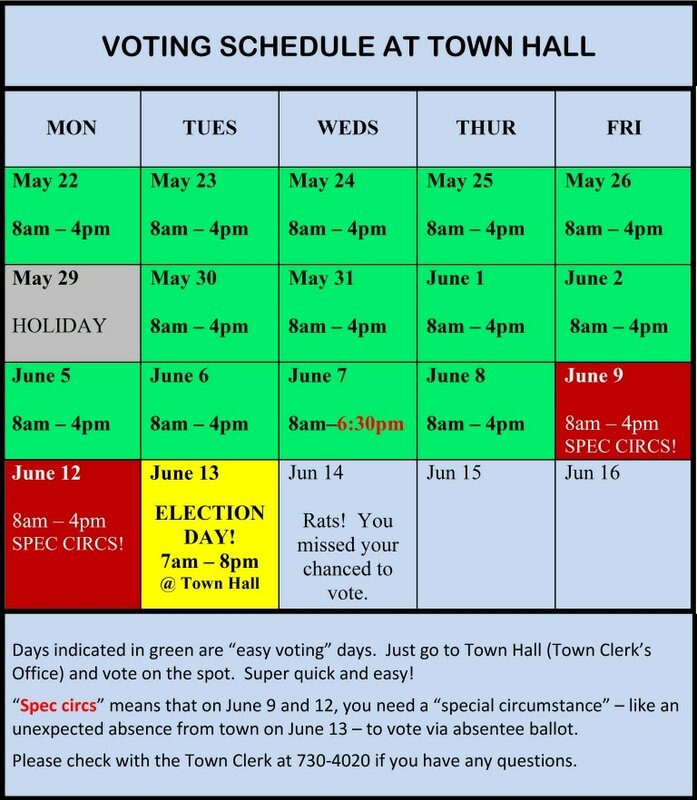 ​If you can drop by the Town Hall before June 9, visit the clerk's office and voting is amazingly quick and easy.